For the first time in the tour’s eight-year history, nearly a dozen locations throughout the Austin neighborhood will be featured in Open House Chicago Oct. 13-14, and residents are excited to show off often overlooked gems. 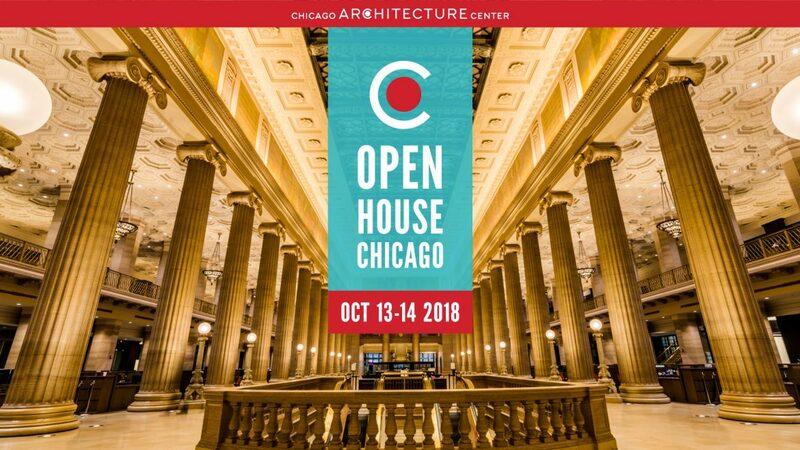 Open House Chicago, hosted by the Chicago Architecture Center, is one of the largest architectural festivals in the world, offering the public the chance to tour over 250 locations in 30 neighborhoods. Morgan Park and Beverly are also joining Austin in this year’s line-up. Open House Chicago manager Eric Rogers said Austin was an obvious addition to the tour because it’s such a large community with many interesting locations. Other West Side neighborhoods like Oak Park and Garfield Park have received many visitors in past years, so Rogers knew that visitors would also be willing to go to Austin. 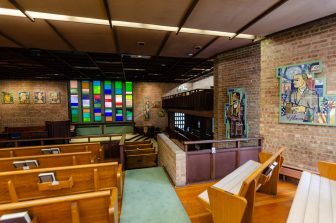 Interior of the Third Unitarian Church located at 301 N. Mayfield Ave. When brainstorming for locations in Austin, Roger said a list of about 35 potential sites was developed without even scratching the surface of the neighborhood’s various industrial locations. 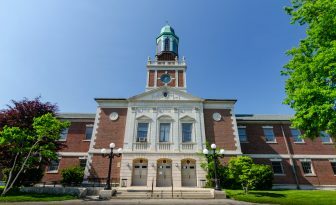 He said featuring neighborhoods that often receive negative attention can allow people a positive, first-hand experience with an area that may contradict their previous beliefs. “It has the power to really change the perception of people that don’t live in [a] neighborhood like Austin to get out there and see the friendly people and beautiful architecture,” Rogers said. Serethea Reid, executive director of Redevelopment Management Resource Inc., said the architecture tour has the power to change visitors’ ideas about Austin. RMR Inc., a non-profit dedicated to creating revitalization tools for non-profits, will be hosting an event Oct. 13 to showcase local artist Shirley Hudson at the Third Unitarian Church, 301 N. Mayfield Ave., one of this weekend’s featured locations. A meeting to plan future art events will be held at the event. Father Dimitrios Burikas, associate pastor of Assumption Greek Orthodox Church, 601 S. Central Ave., said often, press about Austin focuses on violence and crime, which can create negative connotations for people who have never visited the neighborhood. So it is refreshing to see the community portrayed in a positive spotlight, he said. Burikas said he looks forward to sharing information about his parish and the church’s history. The church was originally founded in the same location where it sits today back in 1878. A small temporary church was originally constructed until the late 1930s when enough money was raised by Greek immigrants to construct the church as it stands today, Burikas said. Austin Town Hall located at 5610 W Lake St.
Austin Community Family Center, 501 N. Central Ave.
Austin Town Hall Cultural Center, 5610 W. Lake Ave.
By The Hand Club For Kids, 415 N. Laramie Ave.
Catalyst Circle Rock Charter School, 5608 S. Washington Blvd. Fraternite Notre Dame Church, 502 N. Central Ave. The Loretto Hospital, 645 S. Central Ave.
Peace Corner Youth Center, 5022 W. Madison St.
Austin locations will be included in future festivals, Rogers said, and the number of locations featured in the neighborhood is expected to grow. By The Hand Club For Kids is holding several hiring events over the next several weeks, including two in Austin. The part-time positions for the upcoming school year include full benefits. The nonprofit is expanding its presence in Austin as the bank looks to downsize its operations at its aging Lake Street facility.